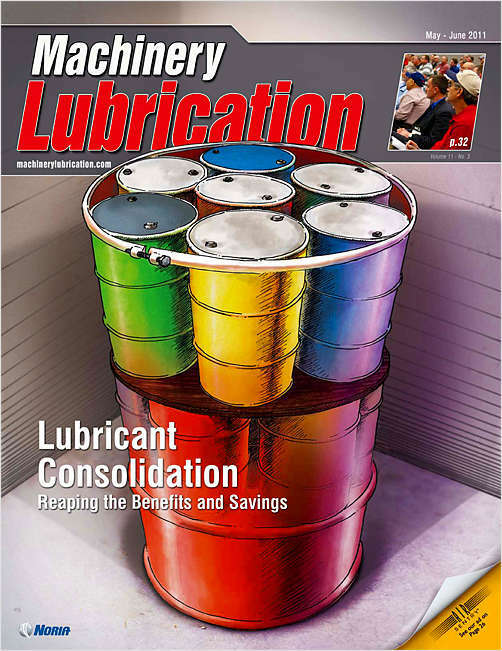 Free Magazine Subscription: "Machinery Lubrication"
Offers insightful information on proper use of lubricants for industrial machinery, fleets and off-highway equipment. Maintenance, reliability and engineering professionals read each issue. By submitting this content request, I have legitimate interest in the content and agree that Noria Corporation, their partners, and the creators of any other content I have selected may contact me regarding news, products, and services that may be of interest to me. Do you wish to receive a FREE subscription to Machinery Lubrication? Please check below if you would like to receive the following FREE eNewsletter. Lube Tips: for maintenance and lubrication professionals about lubricants, Lubrication and oil analysis. In lieu of a signature, the publisher requires a personal identifier. What is your state of birth? Complete and verifiable information is required in order to receive this subscription. • Geographic Eligibility: USA (Print and/or Digital Version), Mexico & Selected International (Digital Version Only). • The publisher determines qualification and reserves the right to limit the number of free subscriptions.